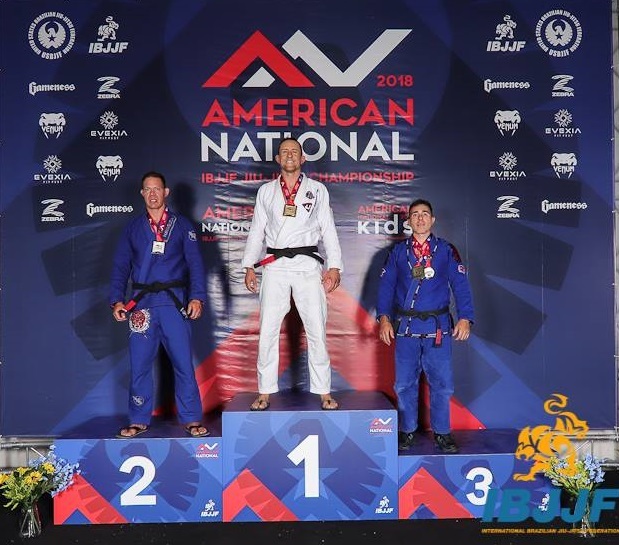 Optimus Brazilian Jiu-Jitsu crushes the competition this year, taking gold in 3 big tournaments so far. At the Optimus BJJ Academy our goal is to bring out the potential greatness of our students through the practice of Jiu-Jitsu. Tournaments are a way to challenge the students, making them improve themselves and their game to meet that challenge. Our students have been rising up to meet that challenge and becoming better people because of it. The year got started with the Los Angeles Open in LA. 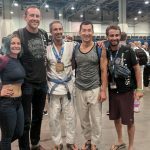 Coach Zach, a Blue Belt had some very exciting fights to secure the Gold. 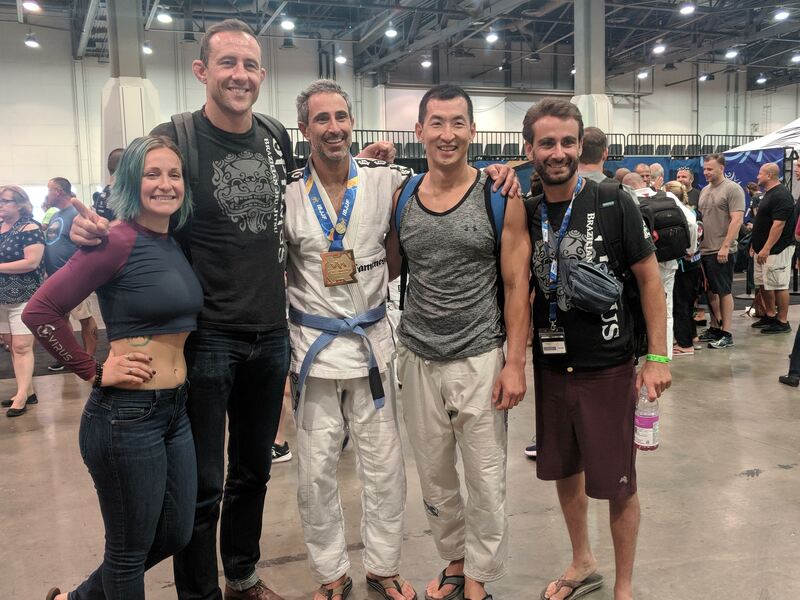 Coach Zach has been helping coach the kids jiu-jitsu classes and still finds time to train 5-6 times per week. The hard work paid off with a long over due first place victory. Nick ‘Strangle-O’ also fought all day to make it to the top of the podium with the gold. 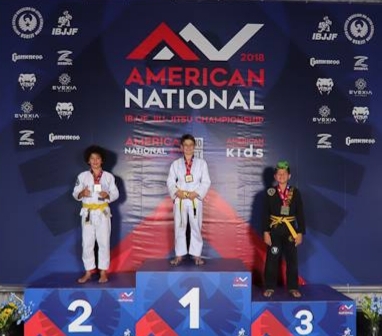 These guys are just getting started in their Jiu-Jitsu journey. We are looking forward to many more victories from them. 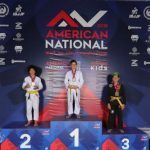 American Nationals took place in Las Vegas in June. 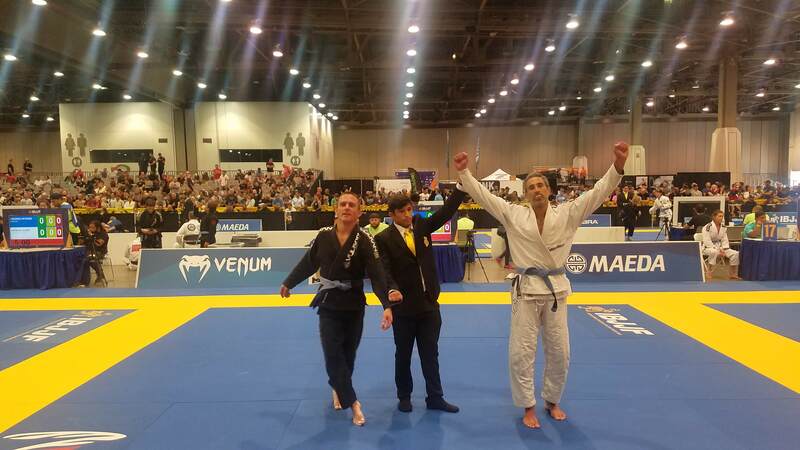 Optimus BJJ was represented by Professor Collins and the young Samuel Hines. Samuel is a dedicated student and no stranger to competition. At the age of 11 he has competed in 37 tournaments. He understands how to handle the pressure of the day and fought his way to gold. He is a great example to all of our young jiu-jitsu students. Professor Collins had two very intense fights for the gold. 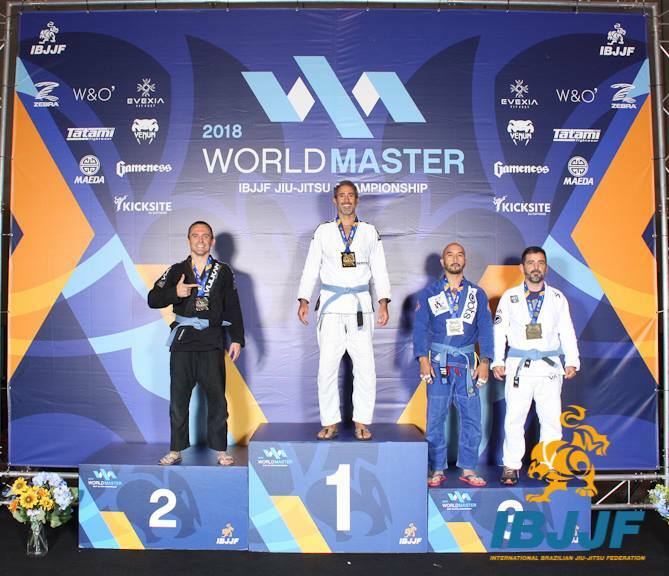 In the final he won a referee decision against the current European Champion. Professor Collins loves to challenge himself and it shows in his Jiu-Jitsu and his classes. August brings the Masters Worlds to Las Vegas. The tournament is known as the ‘Tournament of Legends’. 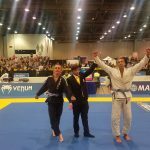 It bring thousands of BJJ fighters from all around the globe to see who is the best. In addition they also hold the International Open for both kids and adults. Our team showed up strong with Professor Collins, Robbie, Samantha, Rich, and Samuel ready to fight. The most impressive performance came from Robbie Chade the ‘Triangle Machine’. 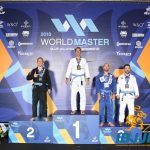 He had four exciting battles, finishing 3 matches with the Triangle choke. Robbie loves people and makes friends wherever he goes. His opponents got choked out but didn’t seem to mind because they had just made a new friend for life. Robbie is a good example of a humble warrior. We cant wait to see him compete in October!